Pyramid-style, three-roll bending machine for sections and tubes: adjustable upper roll, stationary lower rolls. 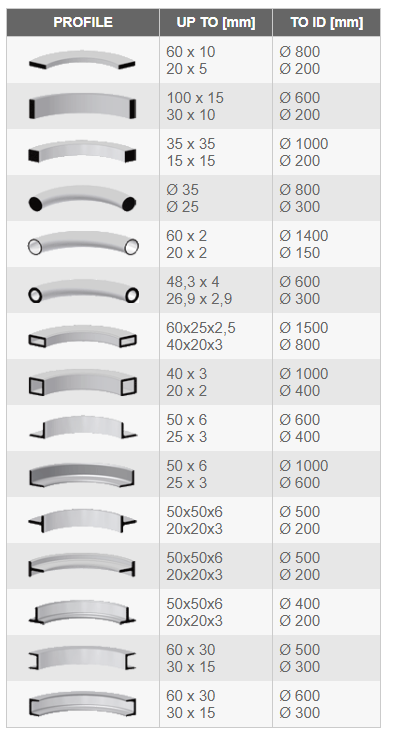 – Modular bending rolls heat treated to hardness 60 HRC to insure long wear resistance. – Upper rolls knurled for optimum drive. Lower rolls smooth.